The earliest days of health foods in a big supermarket consisted of looking for a special sign "natural or health" foods and then walking down one narrow aisle, out of a dozen more, to get low-sugar, low-fat groceries usually free of additives and boasting of natural grains, juices and pesticide-free produce. What if you will be walking into clothing malls of the future and ask the shop manager where to find the "health" racks of clothes made of bamboo, and hemp? Textile makers are turning a tide and an Australia-based company is a sign that we are moving, in addition to cars, to other daily items in our lives that need sustainable alternatives. Long story short, Australian company Nanollose is now focused on a plant-free fabric aimed at the sustainable fashion trade. The company made news on Wednesday at Planet Textiles 2018 event in Canada when they launched their microbial cellulose fabrics. The fabrics are derived from natural coconut byproducts—coconut waste. The company is talking up the eco-friendly nature of their material. The apparel industry is the second largest consumer and polluter of natural resources on the planet, with an urgent need for sustainable alternatives. Their microbial cellulose is grown through natural fermentation. The company said, "Nanollose Technologies, which uses industrial organic and agricultural waste products to produce plant-free cellulose, does not involve the felling of trees or require the use of arable land or its associated use of irrigation, pesticides and other resource intensive inputs making it a sustainable product with potential for industrial scale manufacture." It can be grown all year round, no waiting for "crop seasons." Also, their numbers show microbial cellulose has a significant yield-to-field advantage. Their development speaks to those in the industry who are on the trail of finding sustainable alternatives to rayon and cotton. A publication's title reflects the times. Ecotextile News is an "environmental magazine for the global textile and clothing supply chain." It reported that the Planet Textiles event marked the first time that its 'Nullabor' branded fabrics have been shown in public. 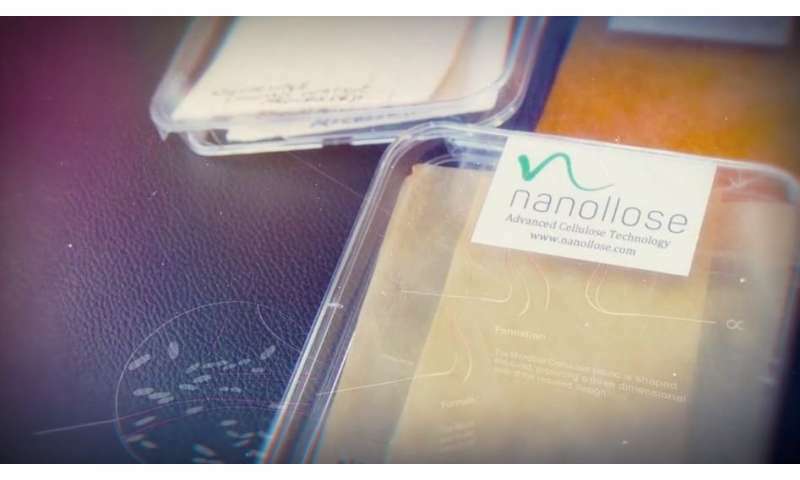 Nanollose chief executive Alfie Germano told over 400 Planet Textiles delegates: "We identified a source of cellulose raw material (coconuts) and made a fibre in a very quick time-frame. But there's nothing like a deadline, and so to be in front of you all today, I'm very happy to say that not only do we now have a fibre, we've used industrial methods to spin this fibre into a yarn and produced the very first batch of fabrics to bring to this event." Meanwhile, one can note a news story last month which appeared in Manufacturers' Monthly. "The company [Nanollose] today announced signing a Memorandum of Understanding (MoU) with Indonesian food producer, PT Supra Natami Utama, a subsidiary of PT Niramas Utama, to develop a commercial scale factory and supply chain solution for cellulose production." PT Supra Natami Utama is a producer of coconut food, beverages and cosmetic products. It has facilities across Indonesia with access to quantities of coconut bi-product and waste stream. The report said "Nanollose intends to access these waste streams for use in the production of textile grade microbial cellulose on an industrial scale."